A Texas high school band leader is apologizing for his band's halftime performance on Rosh Hashana, the Jewish new year. During a halftime show at a football game at a Dallas high school Friday, a student from Paris High School went running across the field waving a Nazi flag. 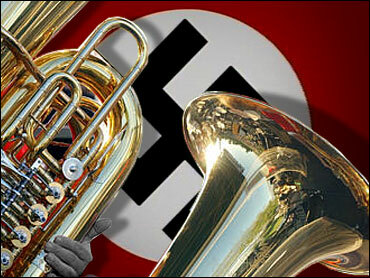 At the time, the band was playing the composition that eventually became known as "Deutschland Uber Alles." Band director Charles Grissom says it was part of a show entitled "Visions of World War Two," in which the flags and music were intended to represent the warring nations. Grissom says the musicians were booed and cursed, and had things thrown at them. He adds they have learned their lesson. The band's show will likely now include only the American flag. Grissom tells The Dallas Morning News it was "an error in judgment."